If you would like to reserve a booth we require a $100 deposit (email transfer) and you pay remaining at club your booth reserved till midnight. 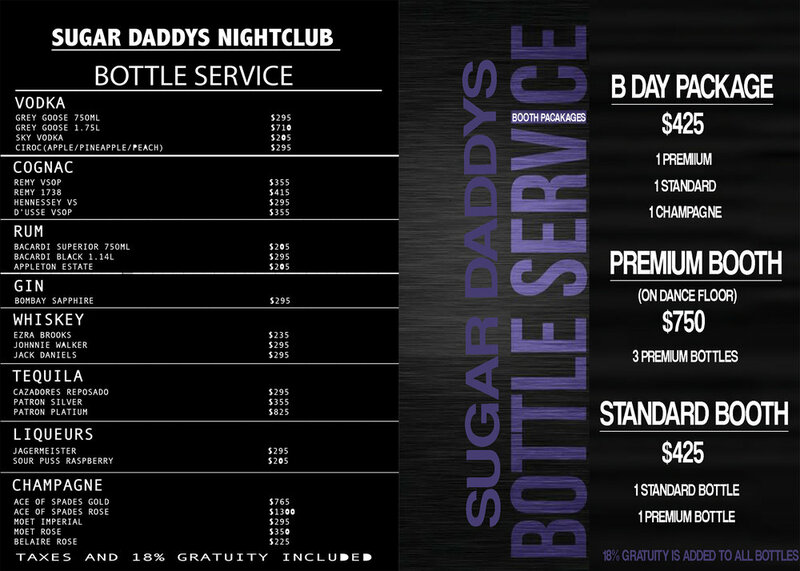 You can still book a booth without deposit but the booth is held till 11 pm. 18 % tax and tip is added to total amount. WHAT TIME DOES SUGAR DADDYS OPEN ? HOW OLD DO YOU NEED TO BE TO ENTER SUGAR DADDYS NIGHTCLUB?